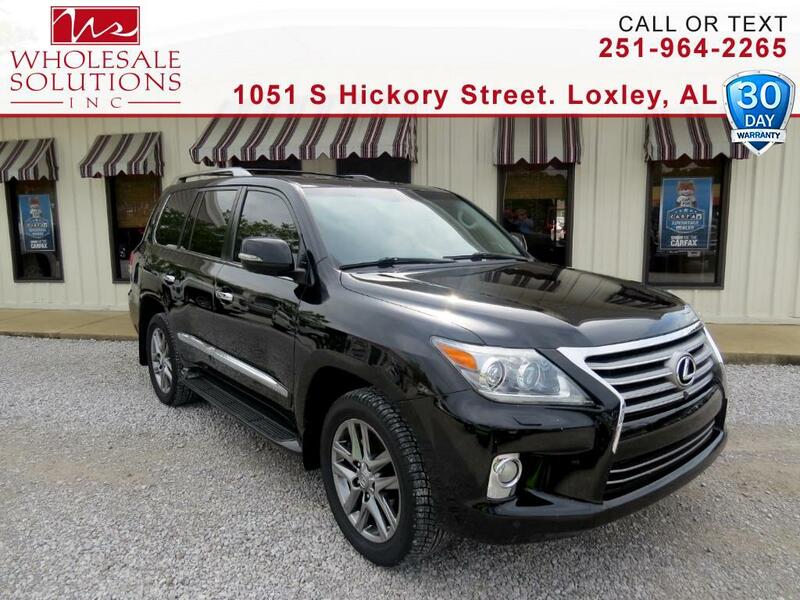 Used 2013 Lexus LX 570 4WD 4dr for Sale in Loxley AL 36551 Wholesale Solutions Inc.
CARFAX One-Owner. ** Clean **, *** DEALER WARRANTY ***, AM/FM radio: SiriusXM, Climate Comfort Seats, Heated Steering Wheel, Luxury Package, Mahogany Trimmed Door Switch Plates, Navigation System, Power door mirrors, Radio: AM/FM Lexus Premium Audio, Rear dual zone A/C. Priced below KBB Fair Purchase Price!